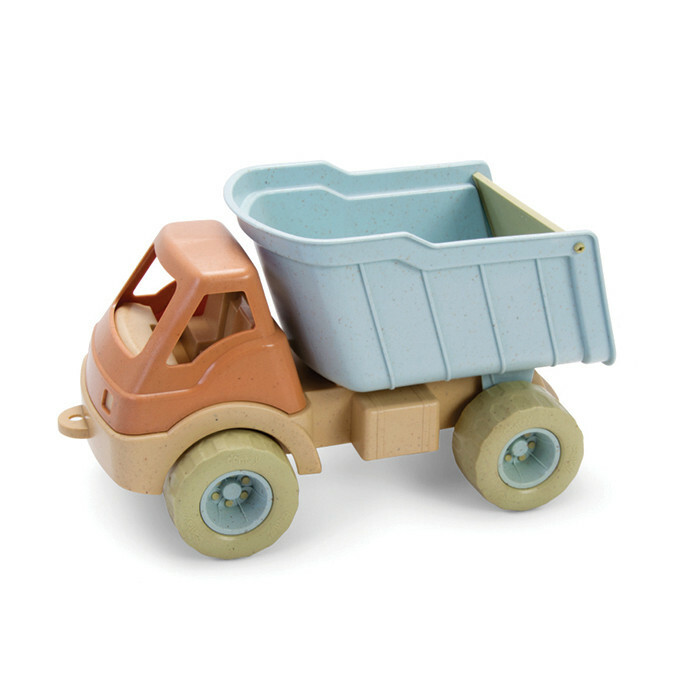 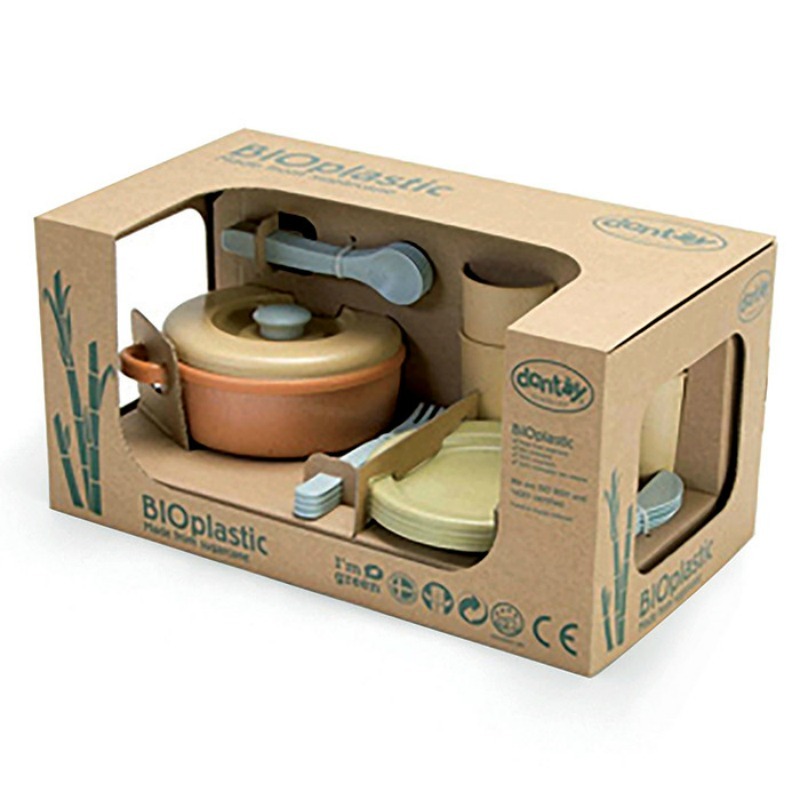 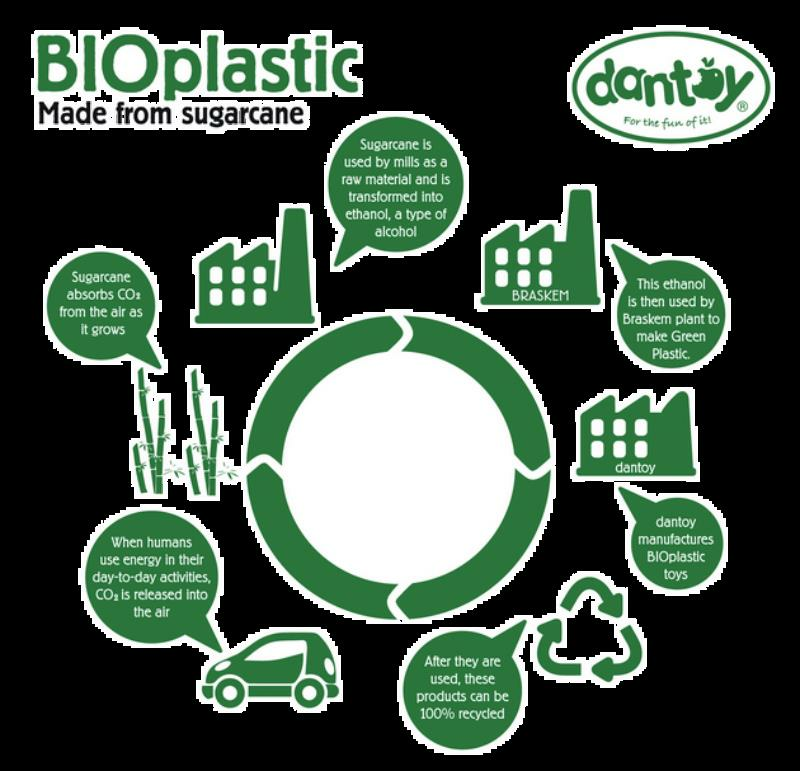 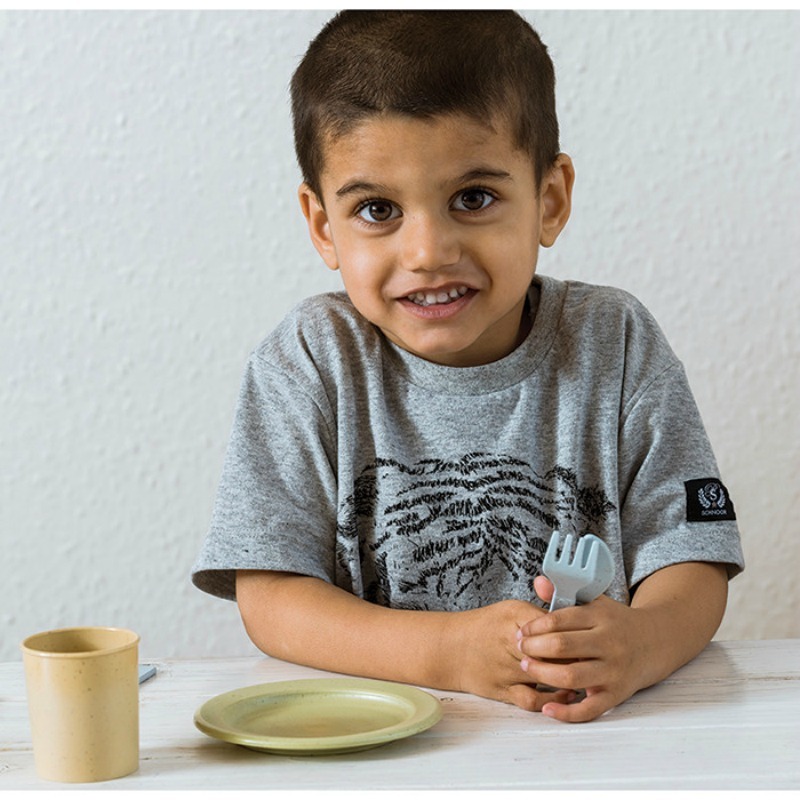 Dantoys BIOplastic Dinner Set is Unique, made purely from 100% Renewable Raw Material, Sugarcane, making this truck an amazing eco-friendly alternative! 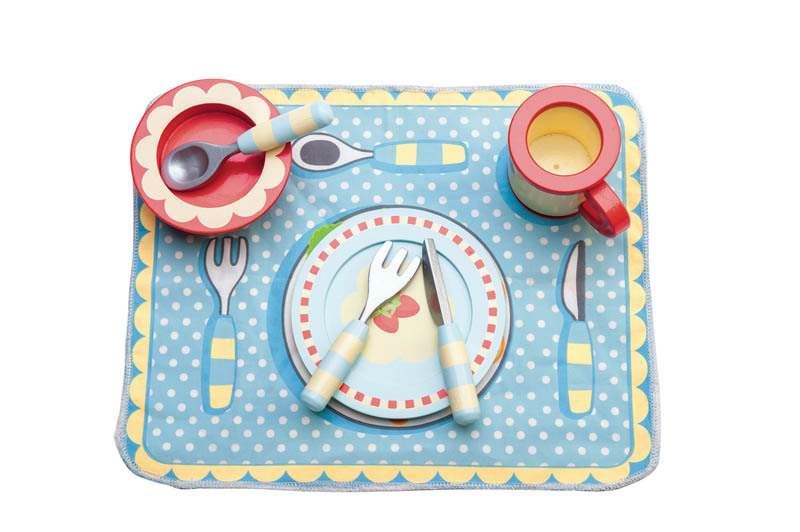 This gorgeous 22 piece Dinner set features everything needed for some imaginative fun! 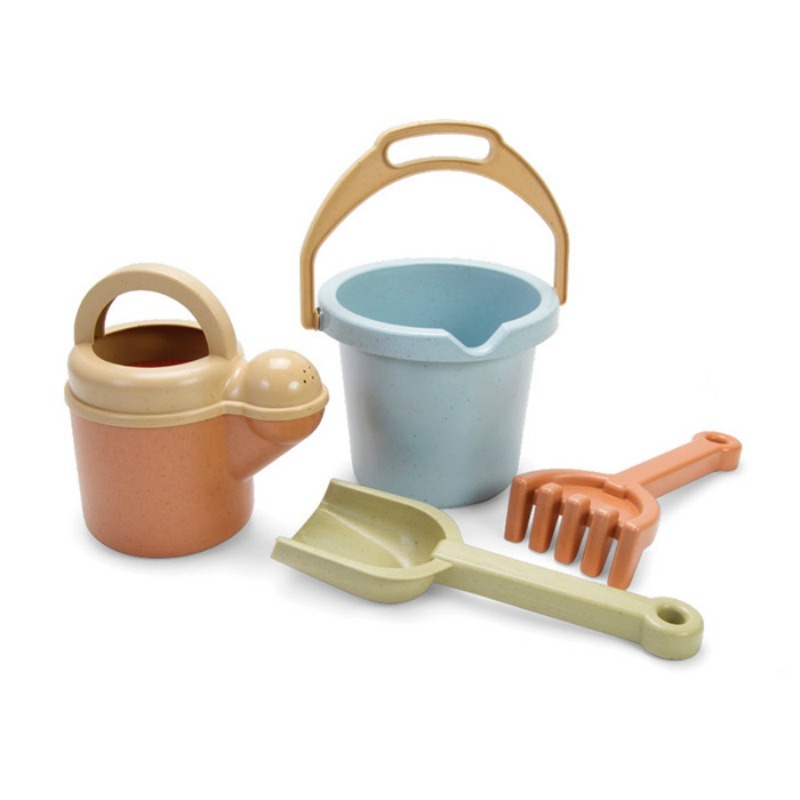 Designed in soft neutral colours, not only does this product look great but the BIOplastic made from sugarcane provides high hardness, stiffness and resilience, perfect for tough play. 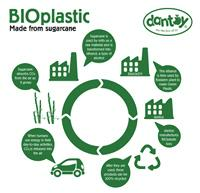 BIOplastic toys are approved for contact with food, contain no PVC and phthalates and are Dishwasher safe. 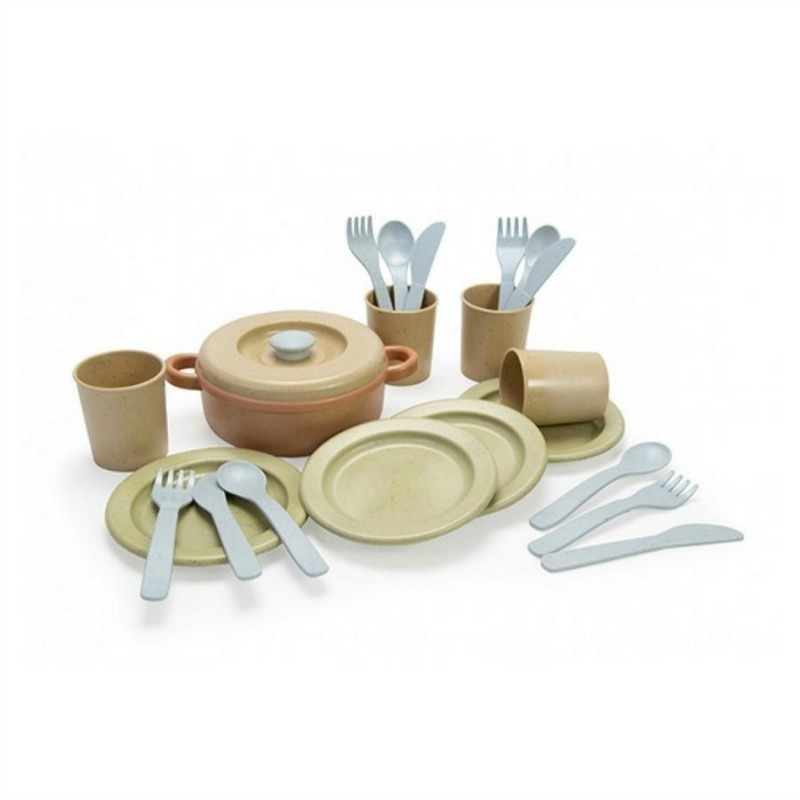 Includes 4 plates, 4 x knives, 4 x spoons, 4 x forks, 4 x cups. 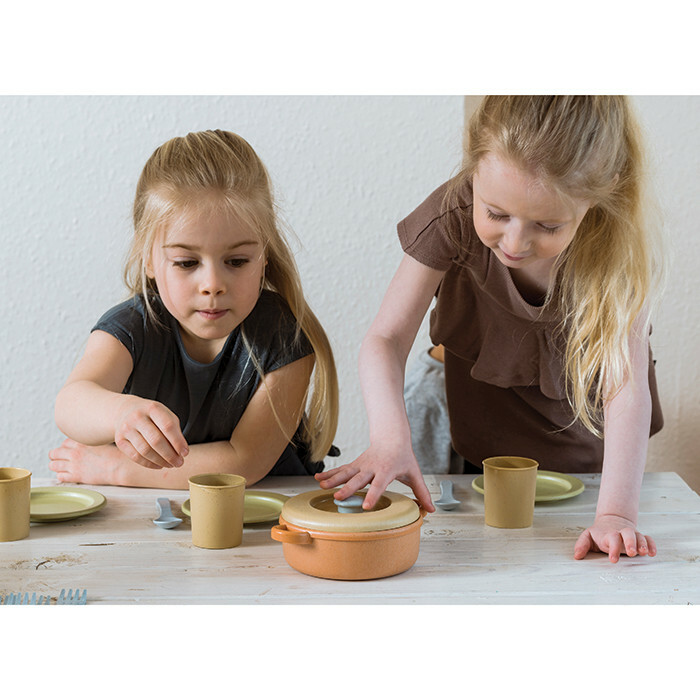 1 x saucepan with lid.